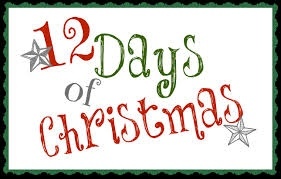 Blog » 12 Days of Christmas Sale! Here are the complete details for The 12 Days of Christmas Sale! Gift Certificates are usable AFTER 1/1/15, and NEVER EXPIRE! Gift Certificates for all sessions and dollar amounts are all 15% off! Order before Saturday, 12/20, for In-store Pickup on Monday, 12/22 from 10:00 a.m.-3:00 p.m.
Saturday, 12/13, until 6:00 p.m.
Sunday, 12/14, until 12:30 p.m.
Monday, 12/15, 12:00 p.m.-6:00 p.m.
Tuesday, 12/16, 10:00 a.m.-12:00 p.m.
Thursday, 12/18, from 10:00 a.m.-12:00 p.m.
Friday, 12/19, from 10:00 a.m.-12:00 p.m.
Monday, 12/22, from 10:00 a.m.-2:00 p.m.
As always, we look forward to "giving you the gift of reliving beautiful moments through beautiful pictures..."